At Palmer Rustic Furniture, several of our rustic furniture store pieces are made from various types of raw slab wood. Rustic furniture was originally built from an abundance of leftover material, but these days custom log furniture shows a respect for craftsmanship. We have an extensive inventory of live edge wood, some of which include oak, sycamore, maple, black walnut and pecan. 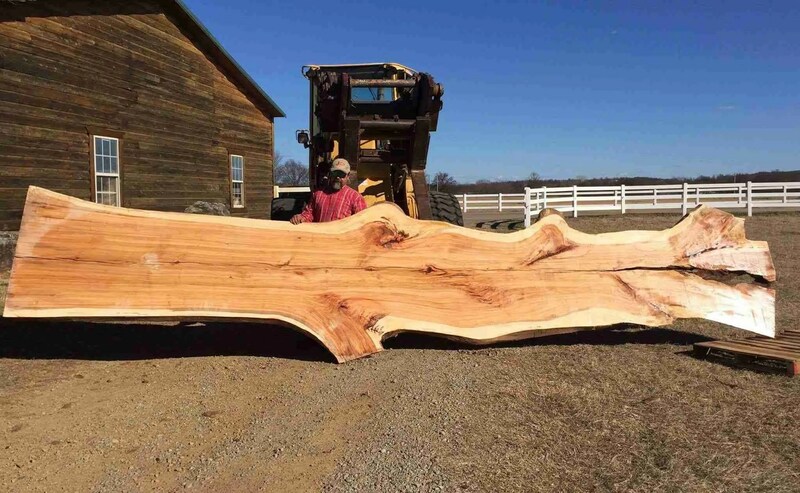 Our live edge slabs all start at 2″-3″ thickness and come in various lengths and widths. We offer crosscuts and horizontal cuts. All of our slabs are sustainability harvested and reclaimed from unwanted trees. These trees often endure countless injuries and stresses growing up in the environment. 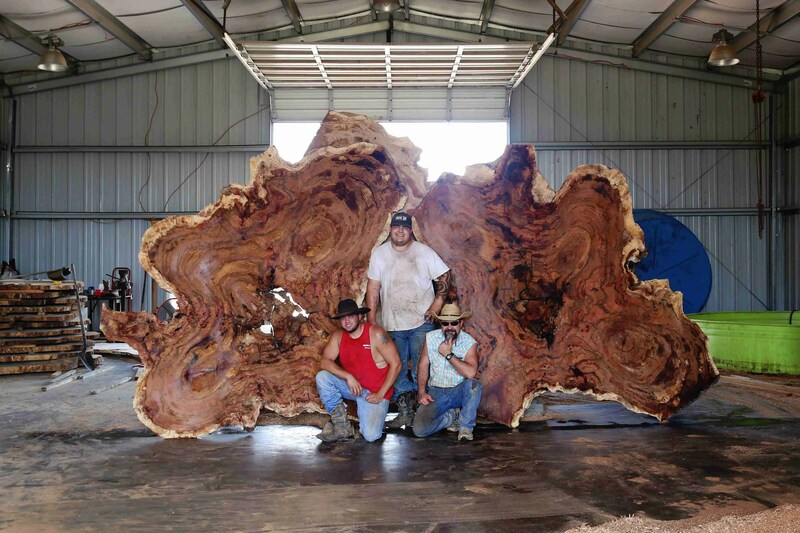 Each tree’s history shines through our raw slab wood’s rich grain, gnarly character and complex figure giving each and every slab it’s uniqueness. Raw slab wood can be used to create amazing one-of-a-kind pieces of furniture. Some include dining tables, conference tables, coffee tables, bar tops, kitchen counter tops, bathroom counter tops and much more. To view more of our unfinished raw wood slabs, visit our raw slab wood catalog. When it comes to being a rustic furniture maker, Palmer Rustic Furniture is the trusted name in Stigler, OK. We are known for our dedication to produce custom wood-work and superior quality slab wood furniture for homeowners in the region. We offer craftsmanship and quality for every piece we make. Call or visit us and get a quote for your custom furniture piece today! © 2017 Palmer Rustic Furniture. All rights reserved. Maintenance and hosting by Jewels Design Works.